Since the end of the conflict in 2009, Sri Lanka’s tourism sector has seen unprecedented growth, with the number of tourist arrivals to the island increasing annually. Tourist arrivals to Sri Lanka has increased by more than 2.8 times during the last 10 years (2009 – 2018), while the arrivals in 2018 recorded at a level over 2.3 million. However, Sri Lanka is yet to realise the full potential of the sector. Meanwhile, notable developments are taking place in many tourism sub-sectors, the country still lacks a well-planned and comprehensive approach to maximise the economic gains the sector has to offer. One major constraint in this regard is the dearth of necessary data and information, which has been an obstacle to effective decision making. As such, the data and information shortage should be addressed without much delay, so that the industry can reach its full potential in the future. Comprehensive data and information can serve as a powerful tool in strategic tourism development. Information on travel behaviors of various categories (by age, country, education level etc.) of tourists, demand for specific tourism products etc. can serve as powerful indications in tourism planning. In Sri Lanka, the lack of data and information has led to many ‘unknowns’, a gap that needs to be filled if effective and accurate decisions are to be made. As the Sri Lanka Tourism Strategic Plan 2017-2020 (SLTSP) highlights, notable fissures exist in the areas of visitor segmentation, domestic tourism, and in linking tourism sector with other economic sectors. Visitor data is not available for niche markets such as ecotourism. There is no specific mechanism to generate data on domestic tourism, though it is touted as a growing segment. Due to the absence of proper data, estimates on domestic tourism are derived in a subjective manner, and can hinder the decision-making process. Tourism’s real contribution to the national economy is important to guide tourism policies. However, this is not yet clear as existing assessments do not take into account all the aspects of economic impacts of tourism. Statistical frameworks such as tourism accounting, developed by the World Tourism Organization (WTO), can help to calculate such contributions. Tourism accounting is a satellite system of accounts that are being developed to evaluate sectoral contributions of selected sectors with connection to the main System of National Accounts (SNA). Tourism accounts are intended to generate necessary information to evaluate the true contribution of tourism sector to the national economy. Sri Lanka is planning to develop a tourism accounting system by the end of 2018, according to the SLTSP. However, as the SLTSP points out, the available data is not in the standard format to be fed into tourism accounting. Tourism accounts can help the development of Sri Lanka’s tourism sector in multiple ways. Tourism accounting can serve as an important tool in tourism-policy related decision making, as it provides the true economic value generated by tourism. Widespread data, covering all important aspects of tourism (such as pre-departure decision making, reservations, expenditure, travel reviews etc. ), is vital in adopting indicators to measure various aspects of tourism. Currently, data limitations are identified as a barrier, particularly when adopting indicators to measure the sustainability aspects of tourism. Furthermore, tourism accounts would help to assess the current standing of Sri Lanka tourism sector in relation to global developments in the industry. As Sri Lanka aspires to become a dynamic and competitive tourist destination, it needs to cater to the changing trends in the travel industry. Particularly, having a sound knowledge about the demand trends and traveler expectations are imperative when making supply-related decisions. This requires information such as travelers’ online search information, travel patterns, spending habits, reservations, and feedback on experiences. Niche markets should receive more attention, as those are not usually covered by conventional data and information mechanisms. 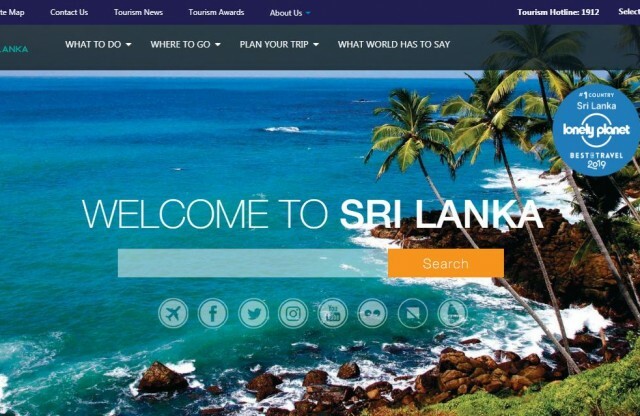 To its credit, the SLTSP has identified the need for achieving a robust data collection and analysis system, with the support of a full-time, dedicated research unit at the Sri Lanka Tourism Development Authority (SLTDA). The SLTDA has already taken steps to prepare an annual statistical bulletin on the sector by collecting and compiling information from variety of sources which has become a useful source of information on the industry If implemented effectively, tourism accounts will address many data related issues in the tourism sector. However, the successful implementation of such a system requires cooperation of many data generating entities in the tourism sector. As such, the SLTDA needs to develop a comprehensive mechanism to collect important data and make use of it meaningfully. Tourism entities such as hotels and travel agencies should be encouraged to maintain their own databases and share them with the SLTDA in a timely manner. Creating awareness on better data management and digitising data are important in this regard. For instance, a study undertaken by the IPS showed that only 37 per cent of hotels maintain records on energy and water consumption and waste generation. In addition, the SLTSP acknowledges the importance of making the best use of available digital data, platforms, and applications, particularly with regard to tourism marketing. Key elements of this include website design and development, content creation, management of social media channels, search engine marketing, search engine optimisation, travel apps, and online platforms such as TripAdvisor. Substantial amounts of data are available through immigration data and e-visa systems. This points to the importance of paying attention to new avenues, such as big data solutions, while taking appropriate actions to improve existing data mechanisms. Big data is a promising way of generating vast amounts of important information, which traditional standard databases are unable to deliver. Advanced methods and technologies have already emerged for generating big data. Around the world, many attempts are already being made to utilise big data in tourism. Kayak, a travel search site, and the Marriott Hotel chain are two such examples. However, big data cannot be handled using traditional methods and requires both hardware and software resources and skills. Even so, it is worthwhile to explore the possibilities of using big data in tourism and make meaningful attempts to use them for the development of the tourism industry. In each of these attempts, collaborative efforts are needed, as the industry is characterised by a variety of sub-segments and a large number of private individual entities that generate data on a regular basis. Efforts on these lines should be considered as a high-return, timely investment for guiding the ongoing and future tourism developments in Sri Lanka. Private enterprise growth in the regions: What is slowing it down?